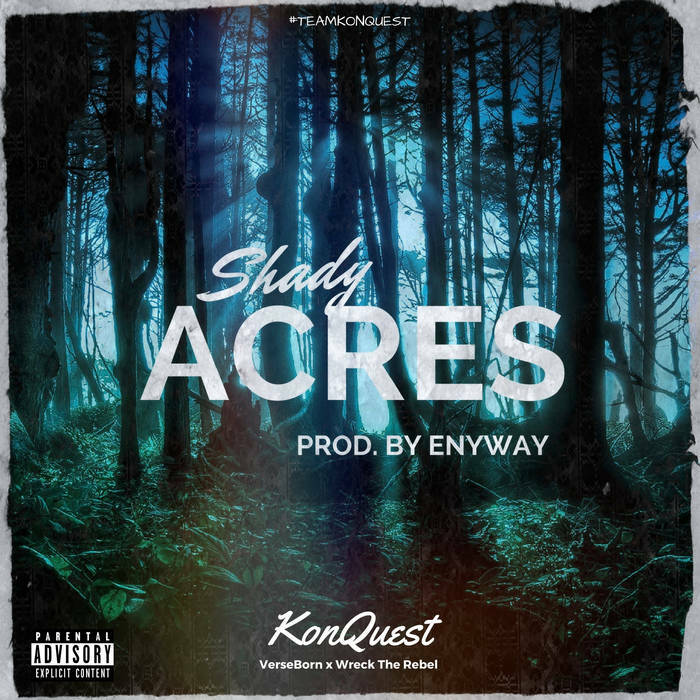 VerseBorn and Wreck The Rebel link up once again to bring you another KonQuest hitter entitled, "Shady Acres", a fantastic hiphop ensemble produced by the prolific Enyway. "Shady Acres" is a cleverly crafted consortium of creativity. The beat's instrumentation consists of an entrancing drum rhythm blended perfectly with an ear pleasing sample setting the perfect tone for KonQuest to paint the audible spectrum with vivid imagery and tantalizing metaphors. In "Shady Acres", KonQuest combines satire and sarcasm as they speak about those who often throw "shade" on others.